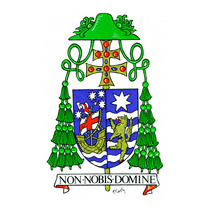 On behalf of Archbishop Wilson and myself, I write to you as the final hearing involving the Catholic Church at the Royal Commission into Institutional Responses to Child Sexual Abuse unfolds. Our first thoughts go to those who are the victims and survivors of child sexual abuse. The terrible memories of abuse at the hands of priests and religious they trusted impact their lives forever, and through these weeks those memories will once again be re-lived. There are no words sufficient to express our sorrow for the suffering those children experienced within our Church. We also recognise and feel deep sorrow for the ongoing suffering of parents, families, friends and partners of those who were abused. To the extent that I can, I offer my apology on behalf of the Catholic Church to all those who suffered directly or indirectly as a result of abuse within the Church. As Pope Francis said recently, ‘it is a sin that shames us’. I promise we will leave no stone unturned in our effort to make our Church in Adelaide safe for children, and to ensure that they will never be at risk of abuse in the future. I know that this is also a difficult time for all of you in the Church who share the sorrow, outrage and shame of hurt to children. The evidence presented during the Royal Commission hearings will be distressing and confronting. The Royal Commission’s statistics and analysis of the extent of abuse will be made public as the Royal Commission reviews the evidence it has already received and seeks to understand why and how this tragedy has occurred. Many of our Bishops and other Catholic leaders will appear before the Royal Commission to explain how the Church has sought to change the culture that allowed abuse occur and to continue, and to put in place new policies, structures and protections to safeguard children and vulnerable persons. Throughout the coming weeks, I ask you to join with me in prayer as we turn to Jesus, who in his own life expressed such protective tenderness towards children. Let us pray that all children everywhere may experience that same protective respect and tenderness from us. This has been a terrible darkness, let us choose to be light for all, especially children and all who are vulnerable. This entry was posted in Latest News on 07/02/2017 by St Patrick's Technical College.